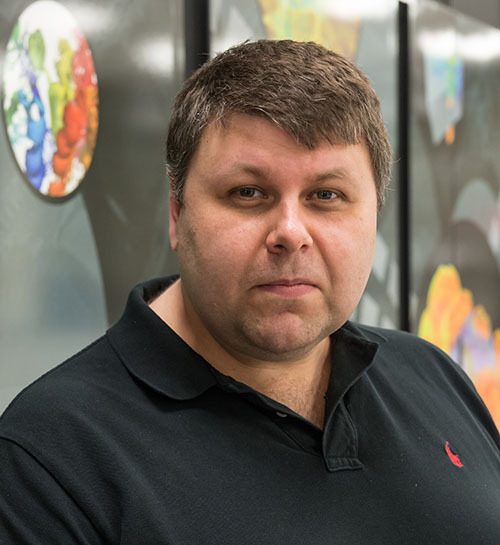 Dr. Yuri Alexeev is a Principal Project Specialist at the Argonne Leadership Computing Facility, where he applies his skills, knowledge and experience for using and enabling computational methods in chemistry and biology for high-performance computing on next-generation high-performance computers. He has a background in quantum chemistry, molecular dynamics, and high performance computing, with specialization in parallelization and optimization of scientific codes. Dr. Alexeev is one of the active developers of GAMESS software package. Dr. Yuri Alexeev is an expert in quantum computing. He has broad interests including topics such as development of quantum computing algorithms, error correction/mitigation techniques, and numerical simulations of quantum systems. The recent projects include development of quantum chemistry and combinatorial optimization algorithms for IBM and D-Wave quantum computers. Dr. Alexeev received his PhD in Physical Chemistry from Iowa State University while a graduate student in Mark Gordon's quantum chemistry group. After graduation, Dr. Alexeev became a postdoctoral fellow at Pacific Northwest National Laboratory and worked in the NWChem group led by Dr. Theresa Windus; later, he joined the Nobel Prize winner Dr. Martin Karplus’ CHARMM group at the Université de Strasbourg and Harvard University. “Power measurements of Hartree-Fock algorithms using different storage devices,” V. Mironov, A. Moskovsky, Y. Alexeev, in Proceedings of the 2017 IEEE International Parallel & Distributed Processing Symposium Workshops (IPDPSW), Orlando, FL, USA, (2017). “The heuristic static load-balancing algorithm applied to the CESM,” Y. Alexeev, S. Mickelson, S. Leyffer, R. Jacob, A.Craig, in Proceedings of the 2014 IEEE International Parallel & Distributed Processing Symposium Workshops (IPDPSW), Phoenix, AZ, USA, (2014). “Machine Learning based load-balancing for the CESM,” P. Balaprakash, Y. Alexeev, S. Mickelson, S. Leyffer, R. Jacob, A.Craig, in Proceedings of the 2014 11th International Meeting High Performance Computing for Computational Science (VECPAR), Eugene, OR, USA, (2014). “Heuristic static load-balancing algorithm applied to the Fragment Molecular Orbital method.” Y. Alexeev, A. Mahajan, S. Leyffer, G. Fletcher, D. G. Fedorov, in Proceedings of the 2012 International Conference for High Performance Computing and Communications (SC12), Salt Lake City, UT, USA, (2012).